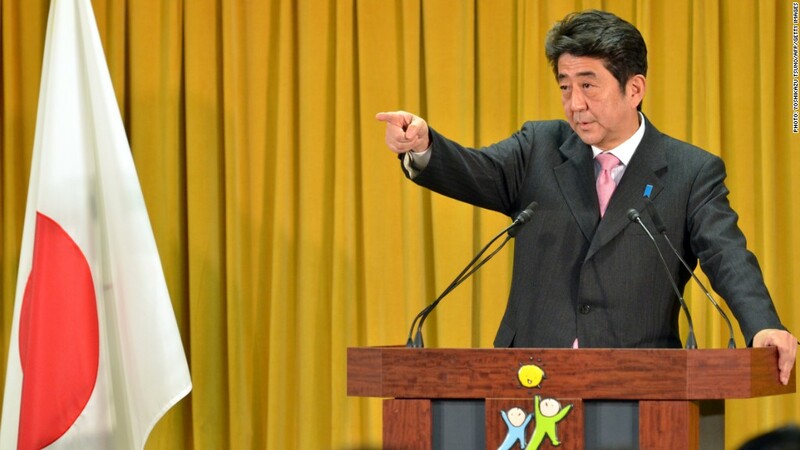 Japanese Prime Minister Shinzo Abe has announced a new fiscal stimulus package. Battered by weak exports and an economy in recession, Japan unveiled a $117 billion fiscal stimulus package Friday in a bid to boost growth. The measure will increase spending on public works, disaster recovery and provide aid to smaller businesses. The plan is part of newly installed Prime Minister Shinzo Abe's effort to get the country's economy back on track with a combination of increased government spending and monetary easing. Abe said Friday that "beating deflation and curbing the yen's appreciation is crucially important" and that a "daring monetary policy is essential." While $117 billion in fiscal stimulus was announced Friday, total stimulus funds now exceed $226 billion when local and private sector funding is counted. According to government estimates, the new stimulus package could boost Japan's GDP by 2% and create 600,000 jobs. Japanese voters handed the Liberal Democratic Party and its allies an overwhelming victory in December elections, clearing the way for Abe to return as prime minister and pursue new stimulus measures to revive the world's third biggest economy. Abe has held the post of prime minister once before, becoming Japan's youngest premier since World War II in 2006. But he resigned a year later citing health issues. Since then, Japan's government has been led by six different prime ministers. During his short campaign, Abe made his policy prescriptions clear. The LDP leader has called for "unlimited" purchases of government bonds, and a doubling of the Bank of Japan's inflation target to 2%, to haul the economy out of recession. It is not yet clear whether Japan's central bank will yield to Abe's wishes -- despite heavy political pressure. "Aiming to emerge from deflation, we'll build a framework for strengthening cooperation between the government and the Bank of Japan," Abe's government said in a statement. "We strongly expect the BOJ to conduct aggressive monetary easing with a clear price target." Japan's GDP for April to June contracted at an annual rate of of 0.1% -- a trend that accelerated from July to September, leading to a contraction of 3.5% for the quarter. -- CNN's Junko Ogura and Alex Zolbert contributed to this report.